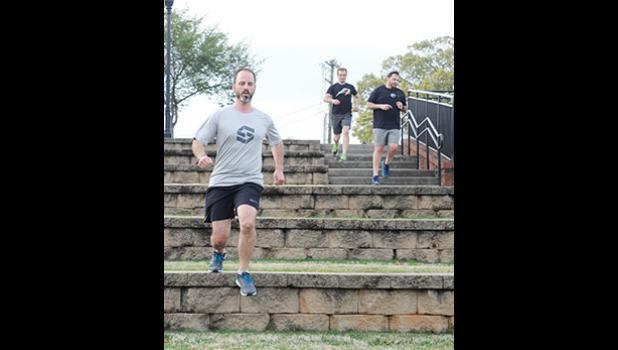 For nearly five years now, a workout group in Greer has been ignoring the urge to stay in bed, getting up at 5:30 a.m. on Tuesdays and Thursdays to exercise in and around City Park. 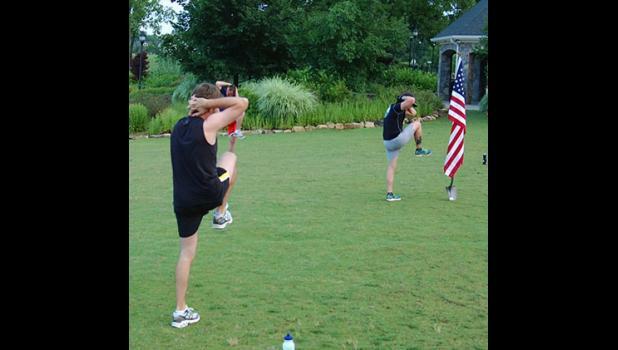 F3 SwampRabbit was started in 2013, according to one of the groups original members, Ross Hughes. “It started in Greenville and continued to grow. We branched out to Spartanburg, Anderson, Greer, Mauldin, Simpsonville, Travelers Rest,” he said. 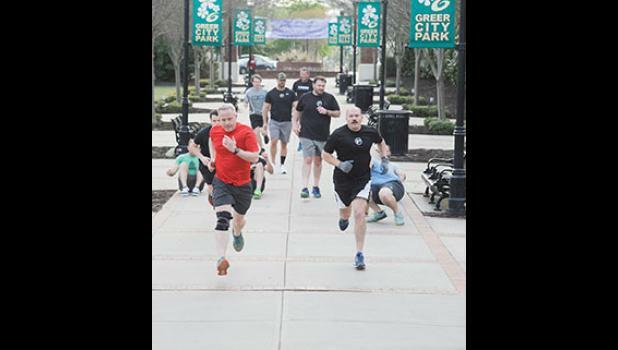 F3’s tagline of being “more than just a workout” has proven to be true as its members regularly perform community service. Groups of men from F3 SwampRabbit have been involved with everything from flood relief to helping local residents with yard work. Hughes said the program is geared toward all men, but especially those approaching middle age. “Late 30s and early 40s is a target demographic of sorts for F3,” Hughes said. “It’s that time of life where guys start thinking about their legacy and why they’re here. F3 helps you frame that and helps you figure out your purpose through the relationships you build. “Dredd is ex-military. That’s where the boot camp style comes from,” Hughes said. “The Lexicon is a living document, especially now that we’ve gone from being a southeastern based group to an international group. I’ve seen a group in Uganda, a group in Ireland—there are so many people feeding into this lexicon of terms you might hear at a workout. New guys can go to the website and look through it and get a ton of information,” he said. The workout has to be tough. Otherwise, getting up before dawn might not be worth it. Duncan, who has been working out at the Greer location since its launch, said everyone will struggle in the beginning, but they will be able to keep up. 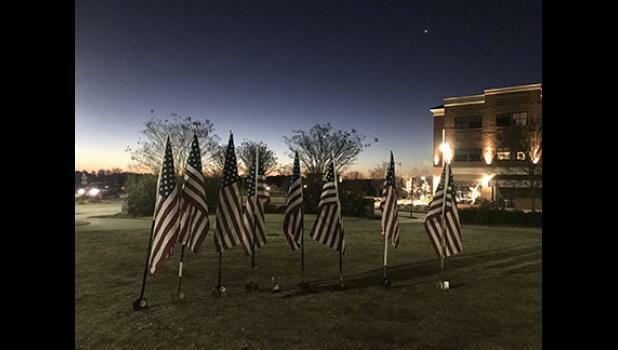 Drew Plumblee has been with the group for three years and said F3 has helped him build new bonds and relationships he might not have otherwise. 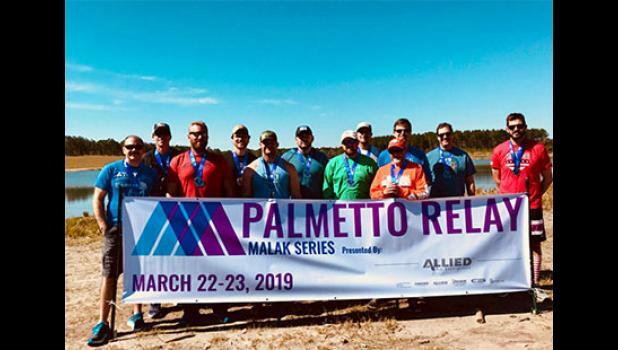 F3 is especially for guys who haven’t found a place to belong. “There’s something for everybody,” Hughes added. “It may not be obvious when you first show up what it is or what you need, but it gives you the opportunity to improve mentally, physically and spiritually and it plugs you into a nationwide network of men who are of similar belief,” he said. 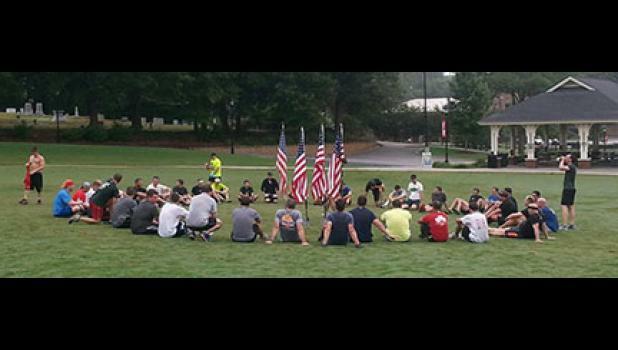 While fitness, fellowship and faith are the main focuses of F3, friendship isn’t far behind. “It’s given me a lot of friendships with guys right around my own age, but also with some guys that are ahead of me in life. It’s good to hear different perspectives,” Plumblee said. For more information, visit f3nation.com or subscribe to the F3 Nation Podcast on iTunes, SoundCloud or Stitcher.